At only 11 lbs the Mojave Portable Infrared Quartz Heater was designed so you can take it with you anywhere you like. When creating the Mojave we had one thought... that world class infrared heat should not be limited only to heavy wood cabinet heaters. It is the perfect heating solution for living rooms, dining rooms, bedrooms, kitchen areas, basements, and craft rooms. Plug this electric heater into your wall outlet and immediately enjoy the warmth. Take it with you where ever you go to make sure you're warm. Its heat exchanger combines with the humidity in the room to provide soft, moist, safe heat without reducing oxygen or humidity. Mojave Portable Infrared Quartz Heater At only 11 lbs the Mojave Portable Infrared Quartz Heater was designed so you can take it with you anywhere you like. When creating the Mojave we had one thought... that world class infrared heat should not be limited only to heavy wood cabinet heaters. It is the perfect heating solution for living rooms, dining rooms, bedrooms, kitchen areas, basements, and craft rooms. Plug this electric heater into your wall outlet and immediately enjoy the warmth. Take it with you where ever you go to make sure you're warm. Its heat exchanger combines with the humidity in the room to provide soft, moist, safe heat without reducing oxygen or humidity. 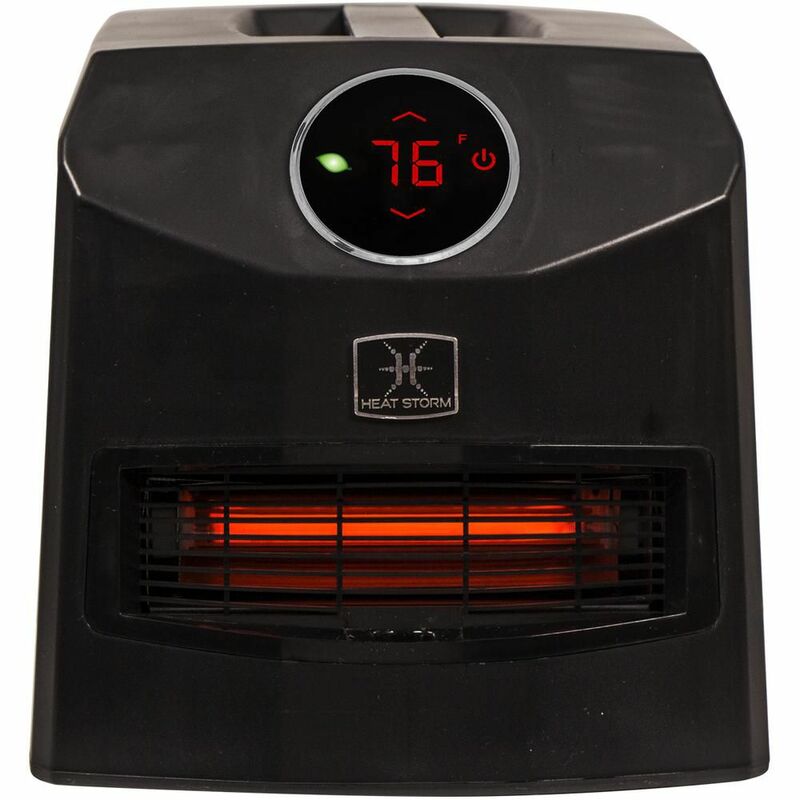 Mojave Portable Infrared Quartz Heater is rated 3.7 out of 5 by 3. Rated 2 out of 5 by amethos from this item uses way to much electricity. between 12... this item uses way to much electricity. between 12 and 15 KWH per day. Rated 5 out of 5 by Lulu from Perfect!!!... Perfect!!! Does this heater have a loud fan? &nbsp;I am looking for something quiet if it exists. &nbsp;I am hoping to heat a small space of about 24ftx12ft without too much fan noise. &nbsp;Thank you for your assistance.